This move, Hussain believes, is a step toward building the future of money, in which all funds will remain safe and secure. Hussain explains that the newly acquired insurance coverage complements the already existing one — FDIC “pass through” deposit insurance — which applies to fiat funds. He also notes that it was tricky to find an insurance company due to a large number of high-profile hacks. Indeed, this year alone three major exchanges, including Bithumb, Bancor, Coincheck have been hacked causing damage to millions of users. Obviously, no company wants to provide insurance unless the exchange owners pay gargantuan premiums. “However, we were able to successfully demonstrate to insurers that Gemini, a New York trust company, is indeed a safe and secure exchange and custodian where customers can buy, sell, and store digital assets in a regulated, secure, and compliant manner,” he underscores and invites to check out the company’s cold storage system here. 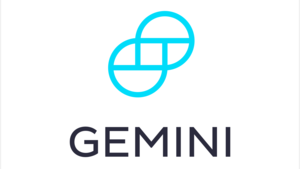 It is noteworthy that the Gemini exchange has struck a deal after the New York State Office of the Attorney General concluded that most exchanges lack basic consumer protections in place and are vulnerable to manipulation. Gemini was among them. The step also comes after Gemini’s ETF fund was rejected by the SEC and the platform’s decision to launch a USD-pegged Ethereum token that looks to supplant tether (USDT) as the stablecoin of choice among bitcoin traders. Originally published at altcoinbuzz.io on OCTOBER 8, 2018.